Sherlock Holmes was always a modern man - its the world that got old. Now hes back as he should be: edgy, contemporary, difficult and dangerous, as award-winning actor Benedict Cumberbatch shows him in a new, contemporary light. Sherlock can tell a software designer by his tie, an airline pilot by his thumb. He has a unique analytical brain unlike anyone else in the world, who staves off boredom by solving crimes. When a chance encounter brings soldier John Watson into Sherlocks life, its apparent the two men couldnt be more different, but Sherlocks intellect coupled with Johns pragmatism soon forge an unbreakable alliance. 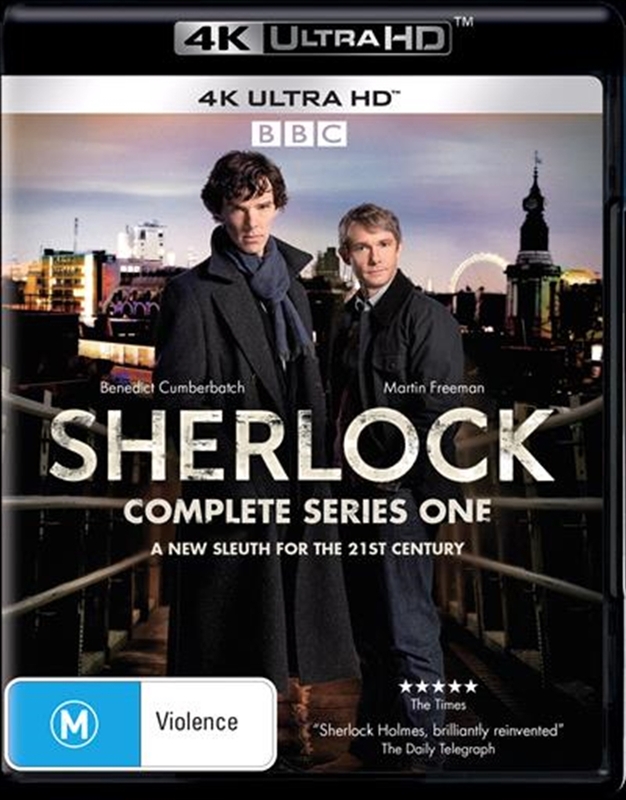 Across three thrilling, scary, action-packed and highly entertaining television movies, Sherlock and John navigate a maze of cryptic clues and lethal killers to get at the truth. With sparkling scripts and unforgettable performances from the two leads, this is Sherlock for a new generation.